Well... my first review on this site. 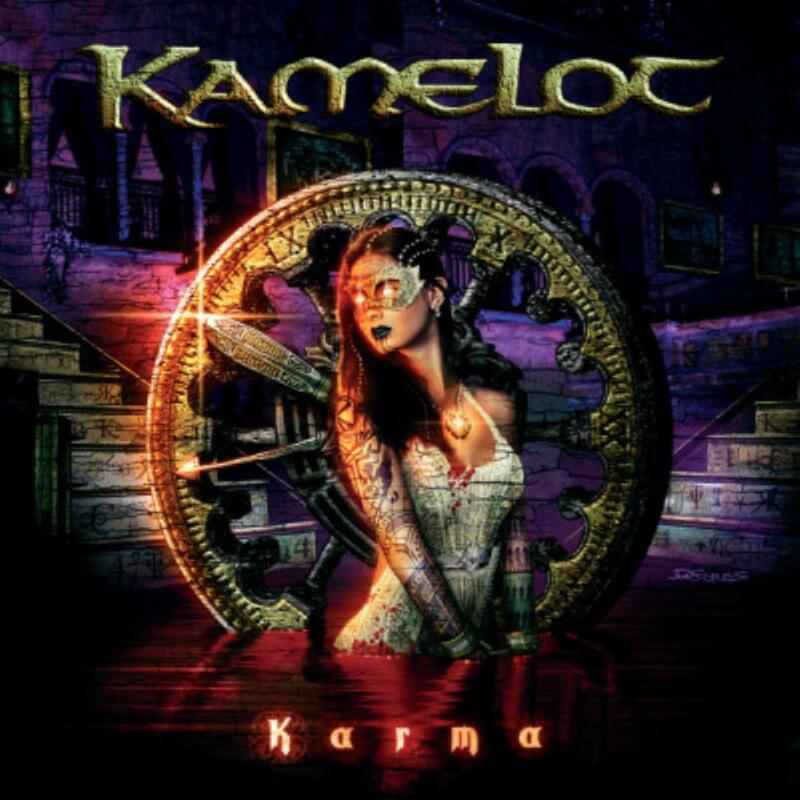 Karma is the first Kamelot album that i bought and it blew me up, at least Kamelot became one of my favourite band. The album itself has more metal element than prog, but that's fine with me. Karma opens with 'Regalis Apertura', an instrumental track that i think fits as an opening. This is followed by 'Forever' that has some power metal element in it, but it's a very nice track IMO. 'Wings of Despair' is a bit similar with the previous track but the melody in nice there. Then we move to 'The Spell', a track that the more you listen it, the more you'll enjoy IMO. 'Don't You Cry' is a great track that is dedicated to Thomas Youngblood's Father. It's an emotional song and i think Khan's voices fits well with this accoustic track. The title track 'Karma' bring up the pace again. The composition there is nice i think. ' The Light I Shine on You' make a good follow up for the previous track, nice keyboard work there. 'Temples of Gold' is another highlight of the album, with slower tempo and nice melody. 'Across the Highland' speeds up the tempo once again and bring up the energy to the listeners. 'Elizabeth' is an epic about the Countess Elizabeth Bathory from Hungary that splitted up in three parts. Part one, 'Mirror Mirror' is a soft track with somewhat a dark feeling in it. The next part, 'Requiem for the Innocent' follows with faster tempo and ends up nicely with piano sounds. The final part of the epic 'Fall From Grace' kicks out with amazing guitar and keyboard work. The band do a good job with interpreting the blood countess Elizabeth with this epic IMO. Overall, i think Karma is a good album that deserves 4 stars. Stronger metal element doesn't make this album become less than other prog metal records out there.